Aging is associated with increased incidence and severity of diseases, accidents, and stress. Deleterious factors, not themselves lethal, may, from an early age, gradually predispose the individual to functional losses or to specific diseases in later life. The epidemiology of aging is that branch of medical sciences that deals with the incidence, distribution, and control of disease in a population. The major objectives of epidemiological aging-related studies are to identify diseases at their onset, or even before, they become manifest, and to develop public health and medical strategies to prevent, postpone, or moderate them (59). The choice and outcome of these strategies have been, for many years now, a subject of debate. Although the increasing longevity of the elderly would reasonably predict an "expansion" of morbidity, several investigators have proposed an opposed and more optimistic view of "compression" of morbidity. According to the hypothesis of "compression of morbidity," morbidity and disability would be compressed into the final years or even months of life (60). Accordingly, the age of onset of functional decline and major degenerative diseases (e. g., heart disease, dementia, and cancer) would be postponed. This postponement of the onset of disease would lead to the rectangularization of the survivorship curve (Chapter 2). Although the hypothesis itself remains controversial, there is consensus regarding the goal of "compressing morbidity" into the later years of life. Research on modifications of the environment and of behavioral factors known to increase mortality risks from fatal diseases have already uncovered valuable clues concerning functional failure in old age and provided a better understanding of the aging process itself. 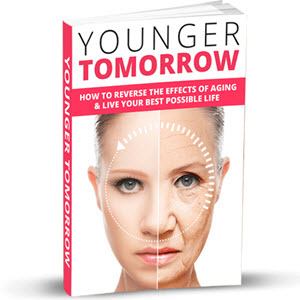 The effects of aging are difficult to isolate from those caused by disease or from gradual degenerative changes that develop fully with the passage of time. Any demarcation among these effects can be only tentatively drawn at the present state of our knowledge. For example, it is reasonable to question whether the atheroma—the characteristic lesion of atherosclerosis—represents a degenerative process or a disease. In other words, does atherosclerosis result from age-related cellular and molecular changes in one or several of the arterial wall constituents or from mechanical injury or infection of the vascular wall? (Chapter 15). Dementia (contrary to the opinion of some pessimists!) 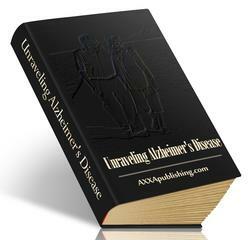 is not a normal and unavoidable consequence of aging and should be investigated like any other disease process (Chapter 7). Likewise, anemia is not a normal correlate of aging, and, when present, a cause for this condition should be investigated (Chapter 17). Indeed, one of the tasks of the geriatrician is to be able to distinguish aging from disease and to treat both as independent but related entities. In geriatrics, it is necessary to differentiate the aging process from disease and to correlate the physical state with the psychosocial environment (59). One of the challenges of geriatrics arises from the multiplicity of problems confronting the elderly (58). One cannot adequately treat disease without considering the psychologic, economic, and social situation of each individual (Table 9). This global, "holistic" view of the individual should apply to all ages, of course, but it becomes crucial for the elderly, for whom loneliness, social instability, and often, financial hardship have enormous impacts on health and well-being. Although the study of a specific disease projects the much more concrete image of a task achievable within a limited time, both clinical and basic research orientations have merits and should be pursued simultaneously.